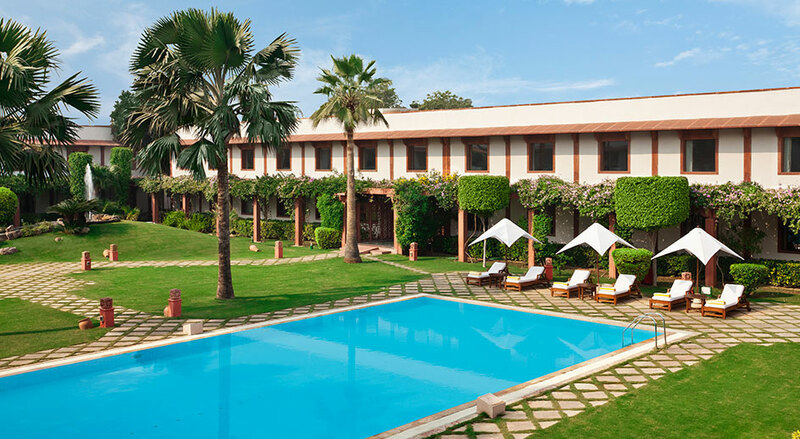 The Manor is a luxury boutique hotel, located in the lush area of Friends Colony in New Delhi, India. With the aim of taking stress out of travel in an unfamiliar territory, it was developed as a small country hotel in the 1950s and has turned into an oasis in the centre of the sprawling bustling capital. 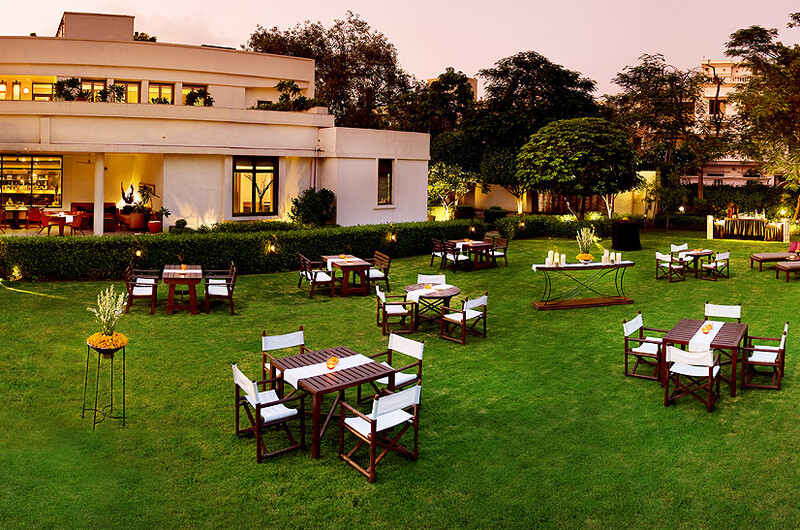 Being one of the best hotels in New Delhi, India, The Manor lays emphasis on quality and understated elegance. The Manor has 14 beautifully designed rooms. Each room is aesthetically decorated in caramel and beige hues and makes for a wonderful luxury accommodation in Delhi. 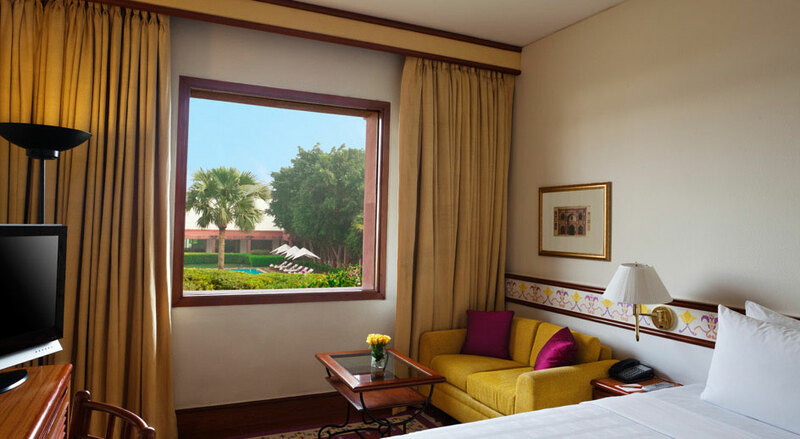 The Manor is undoubtedly one of the best hotels in Delhi housing the most comfortable rooms in the city and providing a luxury experience for its guests. With the Taj Mahal in close proximity, Trident, Agra is the perfect base to experience this city steeped in history. Beautifully landscaped gardens and water fountains welcome you to this charming hotel. 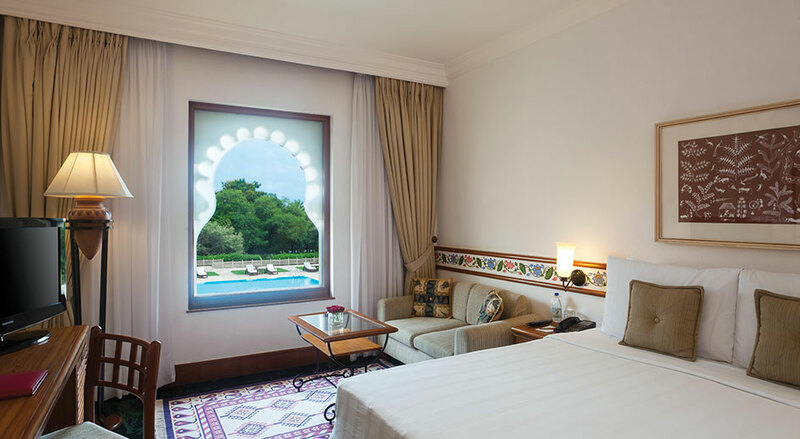 Built in local red stone, reminiscent of the Mughal era, the hotel features 135 tastefully appointed rooms and suites, which overlook the central courtyard and gardens. The soothing views are perfectly complemented by a selection of dining options, recreation and wellness facilities, accompanied by our warm service. 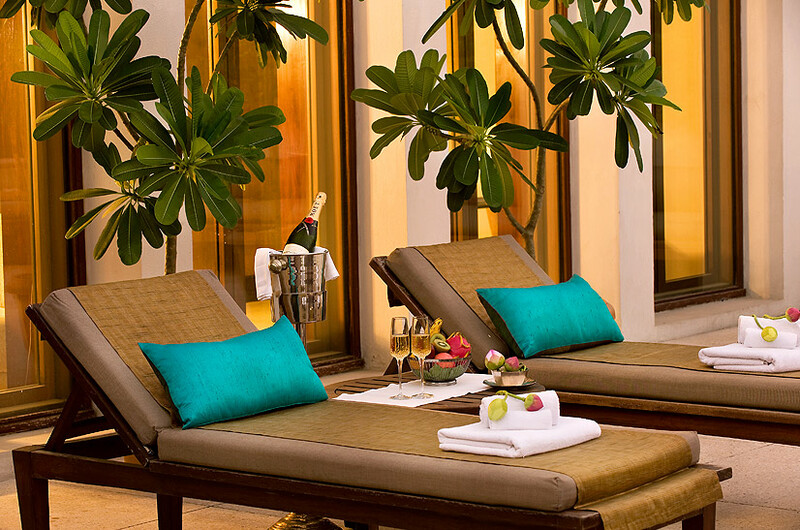 From a morning yoga session to an indulgent spa therapy, a stay at Trident, Agra has plenty to offer. 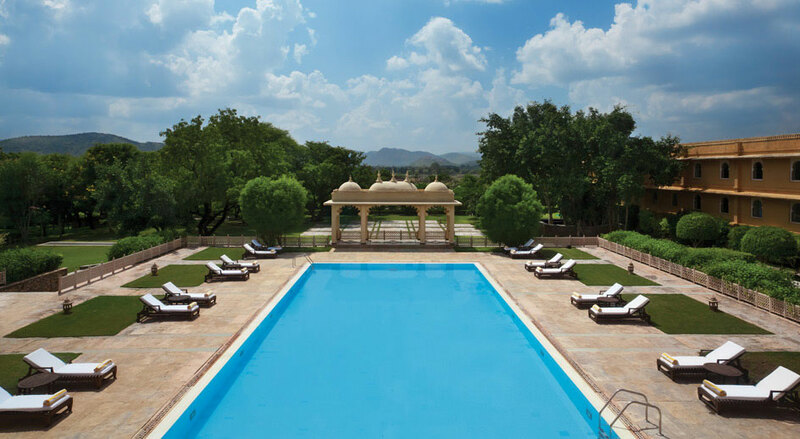 Surrender to the charms of this beautiful city when you stay at Trident, Jaipur. 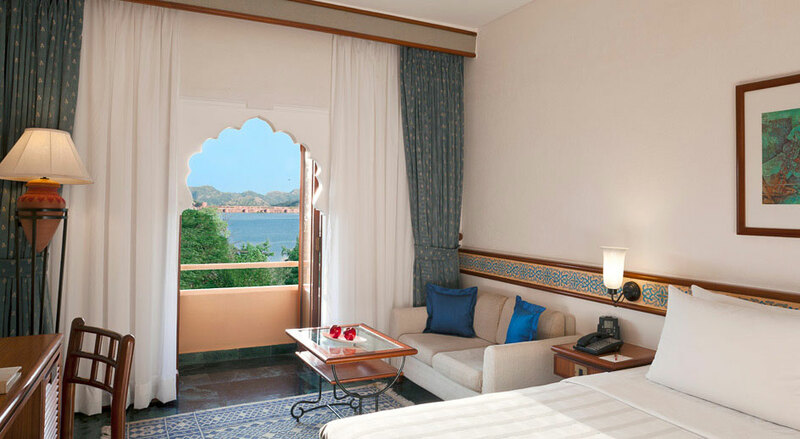 Located en route to the famous Amber Fort, the hotel offers stunning views of the Mansagar lake and Jal Mahal. These vistas are best admired from the hotel's 132 rooms and suites. Tastefully appointed, the rooms are well-lit and airy and offer all the modern amenities such as a spacious wardrobe, an LCD television, a personal bar and high speed Internet access. An intimate 'jharokha', at the end of each room is perfect to take in the panoramic views of the lake or the landscaped gardens, with the Aravalli range forming a dramatic backdrop. The soothing views are perfectly complemented by a selection of dining options, wellness and recreation facilities. Trident, Jaipur is perfectly positioned to enjoy the city's landmark monuments and bustling bazaars. Off the beaten Rajasthani path into the Thar Desert, looms Nagaur’s massive 12th-century Ahhichatragarh Fort, a magnificent 35-acre jumble of elaborately frescoed halls, temples, graceful colonnades and Mughal pleasure gardens. And within its walls sits Ranvas, an elegant 27-room hotel spread across a cluster of 18th-century havelis, originally built for the queens of the Maharaja of Jodhpur and now carefully restored with the modern traveller in mind. Each of the 10 lavish havelis has its own courtyard, an open-air living room and a few spacious bedrooms with ensuite marble bathrooms, rain showers and plush beds. The hotel’s common spaces are lovely, too: an open-sided dining pavilion and lounge, an air-conditioned restaurant, a central courtyard with fountains, ponds, peacocks and pomegranate trees, and a pool so inviting you can barely muster the energy to visit the enchanting palace and museum complex next door. Recline on the terrace as the sun sets, nodding as a handsome waiter in a crimson turban places another samosa by your tea cup, and watch the bougainvillea-covered walls glow pink before stars slowly fill the desert sky. You may not be a Maharaja, but a stay at Ranvas will make you feel like royalty. Suryagarh, Jaisalmer is your gateway to the Thar Desert. Architecturally pure and true to an ancient craft, this magnificent hotel offers its guests a wonderful sense of space. At Suryagarh, they believe that they are not just a hotel but also a representation of a unique way of life carefully preserving the traditions of their past, yet framing them in a modern idiom. 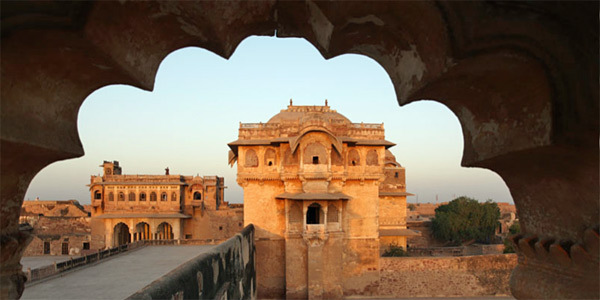 Suryagarh excitingly takes the path less well travelled, and discovers with their guests, secrets of a land that has been shrouded in myths and legends. With great consideration to their guest’s comfort, the hospitality is intuitive and genuine. Amidst shifting sands, you will find a constancy of service, and indeed a bastion of luxury. The rooms and suites are testimony to the pomp and panoply of Rajputana. Cosy en suite dinners, delightful al fresco grill and dining arrangements, a tony, empire-era bar and scores of lovely add-ons make this the ideal venue. 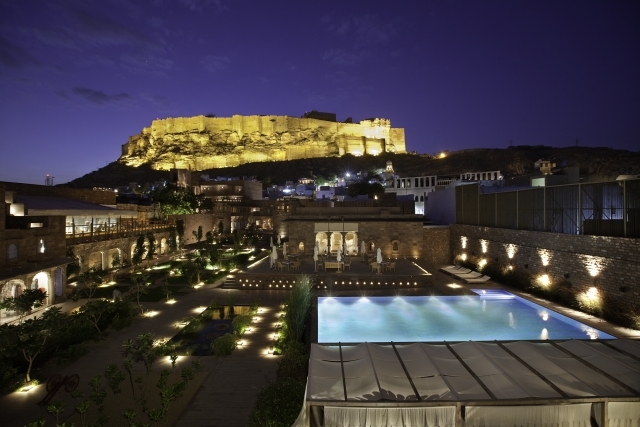 Jodhpur's first boutique hotel comprises three new buildings in addition to the original four; a rare and charming complex that reflects in many ways the Walled City itself. Indeed, with its sensational vistas, different styles and angles, a central water body, square and garden; and an all pervasive warm "organic feel" RAAS is a microcosm of the city. And…like virtually every home here, almost every room in the hotel enjoys the most spectacular view of Mehrangarh, rated in 2008 by Time Magazine as "Asia's Best Fortress". The new buildings are modern and contemporary in their use of space and light and context; and yet grounded in tradition. Jodhpur's red sand-stone unites the new with the old, even as modern designs and patterns in its dressing and carving add an exciting and fresh dimension to the region's age-old stone carving industry. This seamless harmony between the old and the new, the modern and the traditional, the familiar and the surprising…extends to all aspects of RAAS; and it is everywhere, and at all times, as comforting as it is inspirational. The four garden rooms are decorated with the same flair as the luxury rooms, and also offer a private sit-out garden. With soft furnishings and a well-tended flowerbed, these offer the perfect retreat from the hustle and bustle of Jodhpur beyond. After soaking in the sights of this historic city, return to your private sanctuary at Trident, Udaipur to unwind. 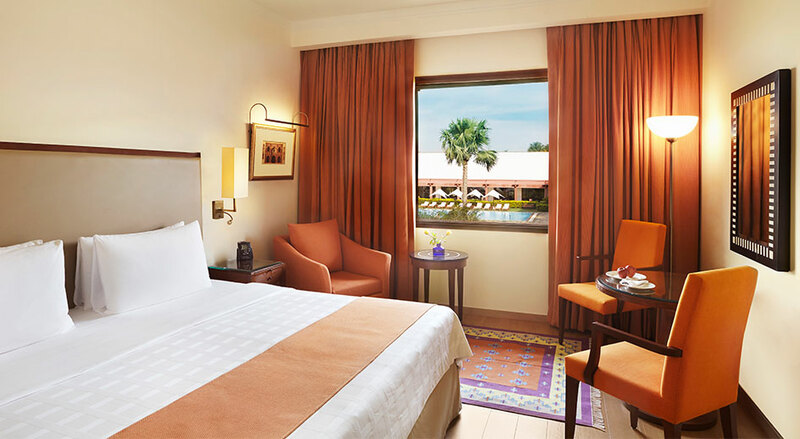 Inspired by the architectural and cultural heritage of Udaipur, all the 137 rooms and 4 suites are furnished in hues of muted beige and cream with traditional artefacts, reflecting elegance and charm. No royal hospitality is quite complete without a lavish feast. Our main restaurant, Aravalli, serves authentic dishes from the Kingdom of Mewar, known for its fine cuisine. Enjoy a walk in the sprawling gardens regale with stories of yore at 'Bada Mahal' - a 150 year old wild life conservatory within the hotel premises. You can let the concierge arrange a boat ride under the stars on the beautiful lake in our quaint pontoons, as you surrender to the charms of this magnificent city.